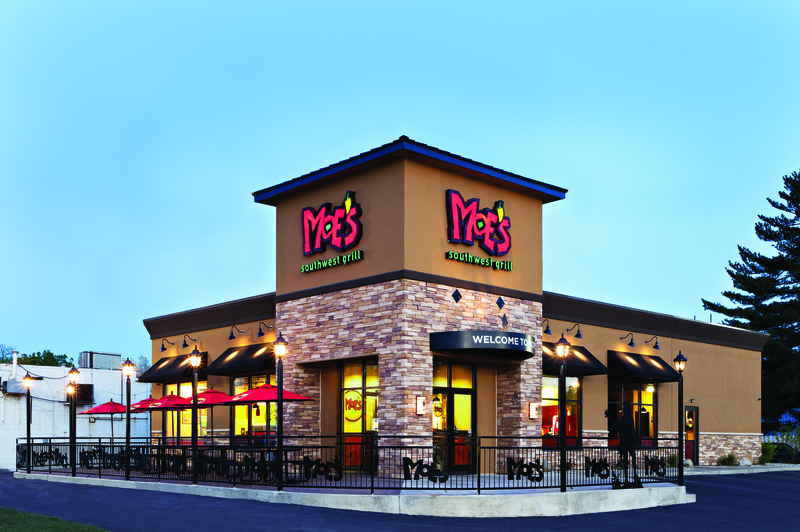 Founded in December 2000 in Atlanta, GA, Moe’s Southwest Grill® is a fun and engaging fast-casual restaurant franchise serving a wide variety of fresh, made-to-order Southwest fare in a welcoming environment that rocks. 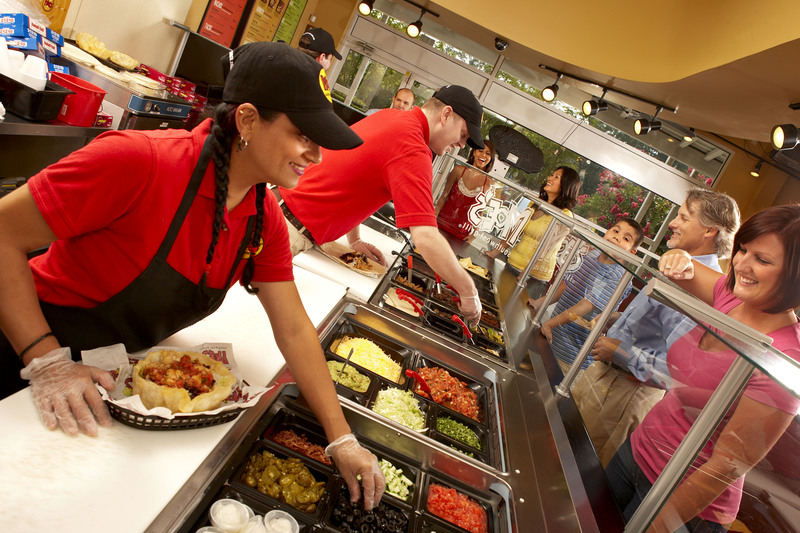 The first thing you’ll hear when you walk into the restaurant is an enthusiastic, “Welcome to Moe’s! ®” It’s more than just our rally cry. It embodies the entire culture. Everybody is welcome at Moe’s. With more than 20 incredibly fresh ingredients like all-natural chicken, grass-fed steak and organic tofu to create one-of-a-kind meals, Moe’s has everyone covered, from meat lovers to tree huggers to vegetarians and flexitarians. While we are best known for our awesome burritos, our menu also features kids’, vegetarian and low-calorie options– all served with free chips and salsa. The only thing we don’t have: microwaves. From our menu items with fun, pop-culture inspired names like Earmuffs, Wrong Doug, Close Talker and Joey Bag of Donuts to our killer, hand-selected playlist of tunes that pay homage to dearly departed musicians, it’s safe to say we roll to our own beat. Moe’s has been recognized as #1 Mexican food concept by Technomic in 2013, #1 Mexican quick-service res­taurant by Entrepreneur Magazine in 2013, one of NRN’sTop 10 Growth Brands in 2013 and one of QSR’s Best Franchise Deals in 2014. With more than 540 restaurants currently open, Moe’s thrives in one of the fastest growing segments, fast-casual Mexican, by serving insanely great food with fresh ingredients in a distinct, family-friendly atmosphere. Our Franchise Partners love what they do – and it shows year after year as our sales and locations continue to grow. As a Moe’s Franchise Partner, you’ll be part of a growing and exciting restaurant franchise opportunity with strong earnings potential. In 2013, for restaurants that have been open for three or more years and provided us with complete financial information for the full period, Franchise Partners reported average total gross sales of $1,242,729! All of the Moe’s burritos that you can eat! We are dedicated to the success of your restaurant franchise and are committed to providing you with world-class support and service based on mutual respect and trust. When you join the Moe’s family, you’ll be part of a group of experienced professionals who have extensive marketing, development and operational experience in the fast casual restaurant industry. The Moe’s team provides all-inclusive support and hands-on training in the following areas to help Franchise Partners maximize our proven business model as they build their restaurant franchise. Moe’s is seeking qualified candidates to continue our franchise expansion. The initial franchise fee to open one Moe’s franchise is $30,000. For more detailed information regarding the range of costs associated with opening your new Moe’s restaurant, please request our Franchise Disclosure Document (FDD). "All the employees of Moe's Corp are easy to work with and offer positive advantages to our business." "Good team to work with. I enjoy working with the people at Moe's." "Historically they have worked to improve the brand, maintain relevance, and pursue strategies that will drive profitability." "I like the fact that they are part of a broad network of franchise concepts (focus brands) that they can leverage for all types of knowledge capital." "The people in the field are great. FBC and Trainers for new openings have been great. 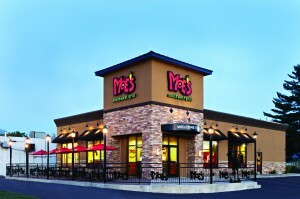 The people in corporate are good people and seem to care about Moe's and Franchisee."